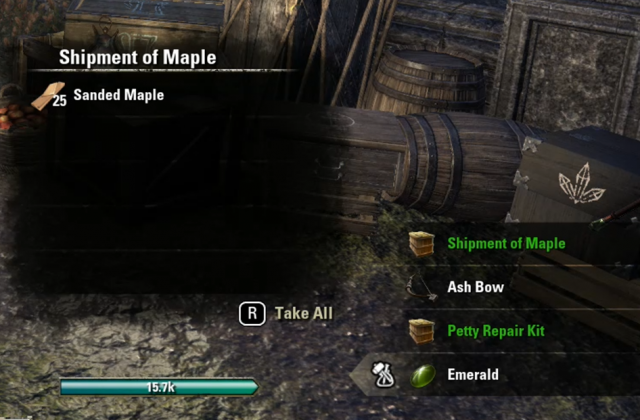 Crafting Woodworking Guide for Elder Scrolls Online with details on how to level fast and craft Shields, Bows, and Staves. Woodworking is a very similar profession to Blacksmithing and Clothing and mostly the same rules apply. The Woodworker vocation is very useful for end game players, because there are some fantastic Sets that have always remained strong (namely Hunding’s Rage and Law of Julianos). 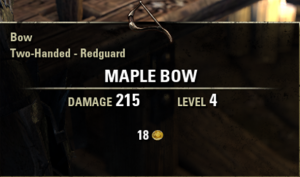 Max level in Woodworker also lets you improve any acquired Purple Gear to Legendary Gear, which is extremely valuable to complete end game sets. You can, however, still utilize this vocation as you level up, as the material cost for lower level Crafted Sets is quite minimal. Just keep in mind that until you reach the Champion Ranks, it may be more trouble than it’s worth, as you will quickly “out level” it. 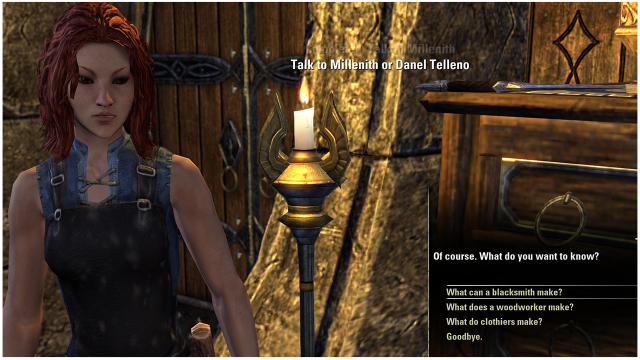 Woodworking Crafting in ESO begins by interacting with any Woodworking Station in the world. To get certified and unlock Writs, visit Millenith near any starting area Fighter’s Guild, Vivec (Morrowind) or Alinor (Summerset). Refining converts Raw Woodworking Materials into Woodworking Processed Materials that can be used to craft Gear. Raw Woodworking materials come in form of harvestable Branches, usually found near Trees on the ground through out Tamriel. Refining Raw Materials can also yield Resins used to improve gear. The chance of acquiring Resin increases with the Wood Extraction passive. Choose Style which determines how gear looks. Unlocking new Styles is done by acquiring Motifs which usually drop anywhere randomly, but can also be obtained in other manners. Style materials are acquired through deconstructing, refining and via vendor that usually stands near the Woodworking Station. Deconstruction means destroying an item in order to get materials from it and Inspiration (Crafting XP). It is primary way of leveling Woodworking since it gives more Inspiration than Creation. Keep in mind that you do not get much Inspiration from deconstructing items that you craft yourself, but you do from items others have crafted. Improvement means upgrading item quality. More materials used equals a higher chance of success. Items are destroyed upon failure, so ideally you would want to use enough materials to reach 100%. Improvement materials can be found by deconstructing items and refining Wood. Traits are researched through this option. Items can be researched only if they have magnifying glass icon next to it. Upon successful Trait Research, you are given an option to use that Trait in Creation but only for that same piece of equipment you acquired trait from. For example, if Powered trait has been researched from Restoration Staff, you can use Powered trait on any future Restoration Staff created. The Blueprints option is used to create Furnishings. Recipes for more Furnishings drop randomly and can be also bought from Guild Traders and Guild Stores. These usually require a special material called Heartwood in order to create. Heartwood is acquired randomly from looting Wood nodes. Researching Traits on every piece of equipment is very important for multiple reasons. Firstly, when out in the world you will stumble upon Special Crafting Stations where you can craft Sets that give specific Set Bonuses. These bonuses depend on the Crafting Station, and every Set has Trait Requirements, meaning if you did not research enough Traits for that piece of equipment you wont be able to craft it. 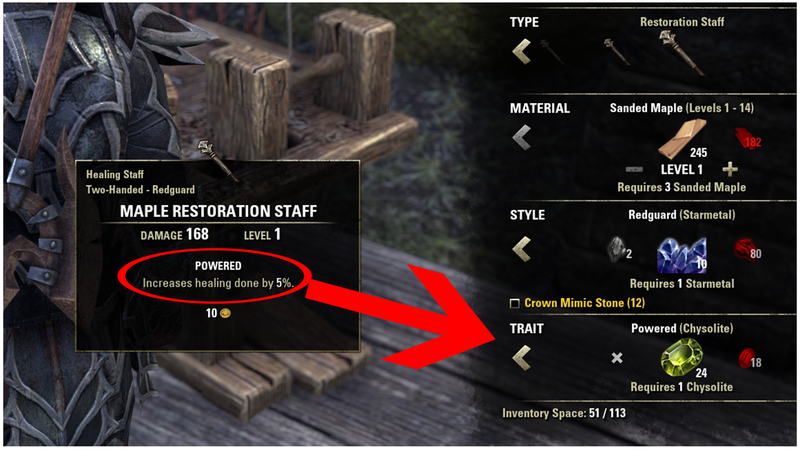 At this crafting station 3 Traits researched for any piece of equipment are needed. 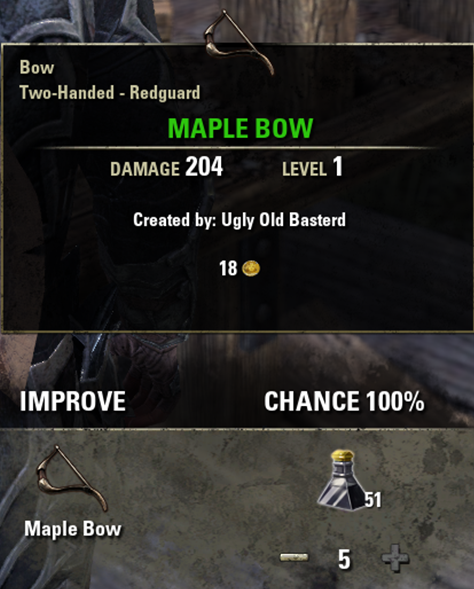 So if I want to craft a Bow of Torug’s Pact I need to have any 3 Traits researched for Bows. If I want to craft a Shield of Torug’s Pact 3 Traits must also be researched, but for Shields. Do not forget that at Special Crafting Stations every vocation’s Station will produce the same Set Bonuses. 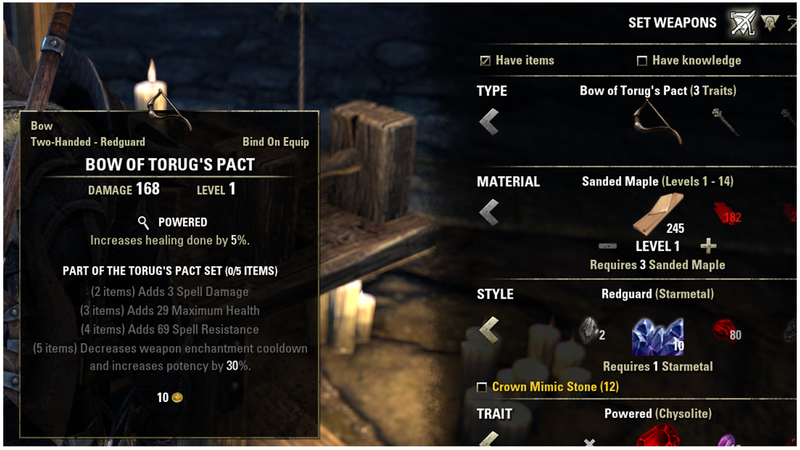 For example if you use the Jewelry Station at this same location, Torug’s Pact Rings and Necklaces can be crafted as well. Another important aspect of having all Traits researched is that you can utilize Transmutation. 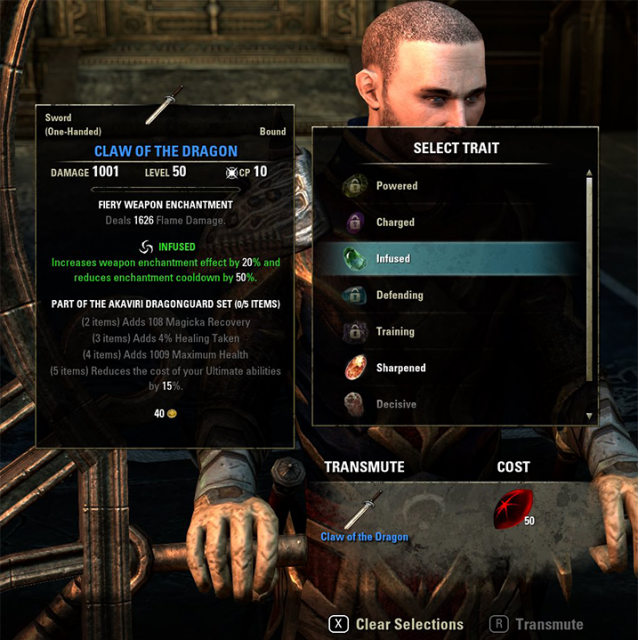 Transmutation offers an option to change Traits on equipment, however, it does bind that item in the process to you. Bound items are non-tradeable but can still be deconstructed or used on alternate characters via your Bank. Transmutation can only be done in the Clockwork City DLC area or at any player housing that possesses a Transmutation Station. Visit the Hall of Refined Techniques in Brass Fortress to start Transmuting. Transmute Crystals are obtained via Daily Random Dungeons, Veteran Dungeons, Trials, Undaunted Pledges, PvP and Holiday Events. They usually come in the form of Transmutation Geodes that need to be opened via your inventory. The amount each Geode possess is somewhat randomized, with higher quality ones possessing more. Keep in mind that you cannot store more than the cap (200) in your inventory, so don’t open your Geodes if you are already there, as anything higher will be forfeit. Upgrading Woodworking Skills is crucial to creating powerful equipment while also being efficient to reduce the leveling grind. Upgrading these passives is done by investing Skill Points into them. Skill Points are earned through various means such as leveling up, doing quest chains with skill points as a reward, non repeatable dungeon quests, Skyshards and ranking up in PvP. Woodworking skill allows the use of higher level materials. It is important to upgrade this ASAP for faster leveling. Keen Eye passive makes Rough Wood more visible by making it glow when nearby. Rough Wood is relatively easy to spot, making this passive optional, but it doesn’t hurt to place one point here if you can spare it. The Hireling passive enables a Hireling to collect Woodworking Materials while a player is offline. Useful for amassing materials for end game, but isn’t required. The Woodwork Extraction passive improves the chances of acquiring more and better materials through deconstruction and refinement and also enables refining higher quality Resins. It is important to upgrade this as soon as possible because it helps in acquiring rarer materials needed for Improvement. Carpentry reduces research times and allows research of more items at once. Useful throughout the game to research as many Traits as possible before reaching end game. Place points here whenever you can. The Resin Expertise passive increases your improvement chances. While it is more helpful at endgame, you can place spare points here if you will be crafting gear as you level up. The best way to level Woodworking is to deconstruct everything, and doing lots of Dungeons is the best way of amassing lots of Woodworking gear for said deconstruction. Next to that, Daily Woodworking Writs are always a nice boost, with the possibility of nice rewards as well upon completion. Keep crafting Bows in this order while repeating above steps: lvl 26, 36, 46, CP 10, CP 40, CP 80, CP 100. Visit Guild Traders and Guild Stores if low on materials. 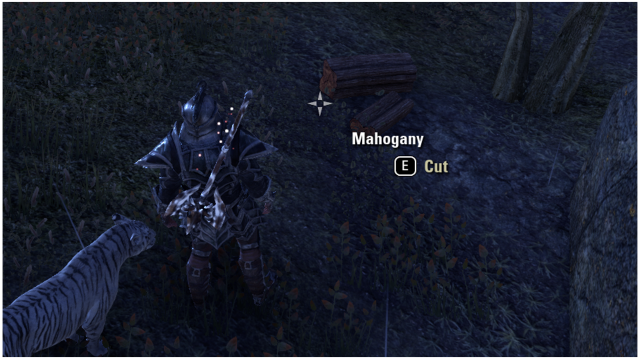 Woodworking in ESO is a rewarding end game vocation where you can craft powerful Shields, Bows and Staves by using harvested Rough Wood around the world. Woodworking is useful for every role as healers and Light Armor DPS will need Staves. Stamina DPS will need Bows and Tanks will need Shields. Learn where the best places to farm Wood are, because there are definitely better places than others. Heavily wooded areas are probably the best, but some other areas are known for having a lot of Wood as well (like Clockwork City for example). Do NOT Refine any more materials than is necessary to craft what you need until you have maxed out the Woodwork Extraction passive. This will give you the highest yield of Rosin, which is used to upgrade Epic quality items to Legendary. These are valuable items, and there is no reason to waste the opportunity to acquire them by processing materials you do not even need. As with any Crafting Vocation, Inspiration gain can be boosted by 10% from ESO Plus, 10% from the Orc Race and 20% from the Inspiration Boost Champion Skill. 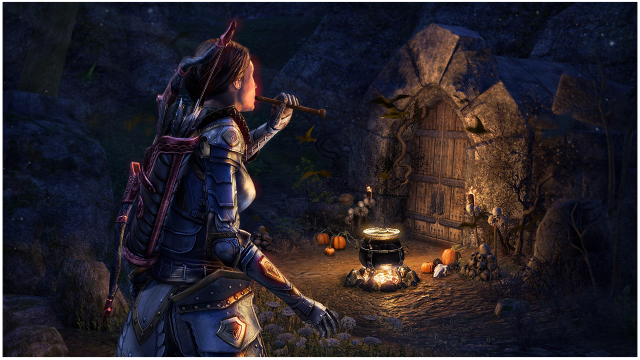 Stay tuned for more ESO Guides as we take on Crafting, Dungeons, PvP and of course, Builds! Check out our Jewelry Crafting Guide, Enchanting Crafting Guide, Alchemy Crafting Guide and Leveling Guides. If you want to find out more about the upcoming changes with Update 19 read about them in Elder Scrolls Online Wolfhunter Changes: The Age Of The Werewolf. You can also check out the upcoming dungeons in The Elder Scrolls Online: Wolfhunter Dungeons Preview.